The Japan Self-Defense Forces (自衛隊, Jieitai), JSDF, also referred to as the Self-Defense Forces (SDF), Japan Defense Forces (JDF), or the Japanese Armed Forces, are the unified military forces of Japan that were established in 1954, and are controlled by the Ministry of Defense. The JSDF ranked as the world's fourth most-powerful military in conventional capabilities in a Credit Suisse report in 2015 and it has the world's eighth-largest military budget. In recent years they have been engaged in international peacekeeping operations including UN peacekeeping. Recent tensions, particularly with North Korea, have reignited the debate over the status of the JSDF and its relation to Japanese society. New military guidelines, announced in December 2010, will direct the JSDF away from its Cold War focus on the former Soviet Union to a focus on China, especially regarding the territorial dispute over the Senkaku Islands, while increasing cooperation with the United States, United Kingdom, India, South Korea and Australia. Deprived of any military capability after being defeated by the Allies in World War II and signing a surrender agreement presented by General Douglas MacArthur in 1945, Japan had only the U.S. occupation forces and a minor domestic police force on which to rely for security. Rising Cold War tensions in Europe and Asia, coupled with leftist-inspired strikes and demonstrations in Japan, prompted some conservative leaders to question the unilateral renunciation of all military capabilities. These sentiments were intensified in 1950 as occupation troops began to be moved to the Korean War (1950–53) theater. This left Japan virtually defenseless, vulnerable, and very much aware of the need to enter into a mutual defense relationship with the United States to guarantee the nation's external security. Encouraged by the American occupation authorities, the Japanese government in July 1950 authorized the establishment of a National Police Reserve (警察予備隊, Keisatsu-yobitai), consisting of 75,000 men equipped with light infantry weapons. In 1952, Coastal Safety Force (海上警備隊, Kaijō Keibitai), the waterborne counterpart of NPR, was also founded. The Security Treaty Between the United States and Japan was signed on 8 September 1951. The treaty allowed United States forces stationed in Japan to deal with external aggression against Japan while Japanese ground and maritime forces would deal with internal threats and natural disasters. It permitted the United States to act for the sake of maintaining peace in East Asia and exert its power on Japanese domestic quarrels. Accordingly, in mid-1952, the National Police Reserve was expanded to 110,000 men and named the National Safety Forces. The Coastal Safety Force was transferred with it to the National Safety Agency to constitute an embryonic navy. On July 1, 1954, the National Security Board was reorganized as the Defense Agency, and the National Security Force was reorganized afterwards as the Japan Ground Self-Defense Force (de facto post-war Japanese Army), the Coastal Safety Force was reorganized as the Japan Maritime Self-Defense Force (de facto post-war Japanese Navy) and the Japan Air Self-Defense Force (de facto post-war Japanese Air Force) was established as a new branch of JSDF. General Keizō Hayashi was appointed as the first Chairman of Joint Staff Council—professional head of the three branches. The enabling legislation for this was the 1954 Self-Defense Forces Act (Act No. 165 of 1954). The Far East Air Force, U.S. Air Force, announced on 6 January 1955, that 85 aircraft would be turned over to the fledgling Japanese air force on about 15 January, the first equipment of the new force. On 19 January 1960, the amended Treaty of Mutual Cooperation and Security between the United States and Japan corrected the unequal status of Japan in the 1951 treaty by adding mutual defense obligations. During US army mobilization the US is required to pre-inform Japan. The US is prohibited from exerting power on domestic issues of Japan. The treaty obligates Japan and the United States to assist each other if there's an armed attack in territories administered by Japan. Because it states that any attack against Japan or the United States in Japanese territory would be dangerous to each country's peace and safety. The revised treaty requires Japan and the United States to maintain capacities to resist common armed attacks. Thus it explains the need for US military bases in Japan. This established a security alliance between Japan and the United States. The treaty has lasted longer than any other alliance between two great powers since the Peace of Westphalia treaties in 1648. In 1983, Japanese Prime Minister Yasuhiro Nakasone pledged to make Japan an "unsinkable aircraft carrier in the Pacific", assisting the United States in defending against the threat of Soviet bombers. Although possession of nuclear weapons is not explicitly forbidden in the constitution, Japan, as the only nation to have experienced the devastation of nuclear attacks, expressed early its abhorrence of nuclear arms and its determination never to acquire them. The Atomic Energy Basic Law of 1956 limits research, development, and use of nuclear power to peaceful uses only. Beginning in 1956, national policy embodied "three non-nuclear principles"—forbidding the nation to possess or manufacture nuclear weapons or to allow them to be introduced into its territories. In 1976 Japan ratified the Treaty on the Non-Proliferation of Nuclear Weapons (adopted by the United Nations Security Council in 1968) and reiterated its intention never to "develop, use, or allow the transportation of nuclear weapons through its territory". Nonetheless, because of its generally high technology level and large number of operating nuclear power plants, Japan is generally considered to be "nuclear capable", i.e., it could develop usable nuclear weapons within one year if the political situation changed significantly. Thus many analysts consider Japan a de facto nuclear state. Japan is often said to be a "screwdriver's turn" away from possessing nuclear weapons, or to possess a "bomb in the basement". On May 28, 1999, the Regional Affairs Law was enacted. It allows Japan to automatically participate as "rear support" if the United States begins a war under "regional affairs." The Anti-Terrorism Special Measures Law was passed on October 29, 2001. It allows the JSDF to contribute by itself to international efforts to the prevention and eradication of terrorism. While on duty the JSDF can use weapons to protect themselves and others who come under their control. Previously Japan's policy was non-involvement. On June 8, 2006, the Cabinet of Japan endorsed a bill elevating the Defense Agency (防衛庁) under the Cabinet Office to full-fledged cabinet-level Ministry of Defense (防衛省). This was passed by the National Diet in December 2006, and has been enforced since January 9, 2007. Section 2 of Article 3 of the Self Defense Forces Act was revised on January 9, 2007. JSDF activities abroad were elevated from "miscellaneous regulations" to "basic duties." This fundamentally changed the nature of the JSDF because its activities are no longer solely defensive. JMSDF ships can be dispatched worldwide such as in activities against pirates. The JSDF's first postwar overseas base was established in Djibouti, Somalia (July 2010). In 2007, Prime Minister Shinzō Abe said that Japan's constitution did not necessarily ban possession of nuclear weapons, so long as they were kept at a minimum and were tactical weapons, and Chief Cabinet Secretary Yasuo Fukuda expressed a similar view. On 18, September 2015, the National Diet enacted the 2015 Japanese military legislation, a series of laws that allow Japan's Self-Defense Forces to collective self-defense of allies in combat for the first time under its constitution. The Self-Defense Forces may provide material support to allies engaged in combat internationally. It also allows JSDF troops to defend weapons platforms of foreign countries that contribute to Japan’s defense. The justification is that by not defending/supporting an ally, it would weaken alliances and endanger Japan. These were Japan's broadest changes to its defense laws since World War II. The JSDF Act was amended in 2015 in order to make it illegal for JSDF personnel/staff to participate in collective insubordination or to command forces without authority or in violation of orders, which was stated to be the reason why Japan was involved in China in World War II. A Credit Suisse survey published in 2015 ranked Japan as the world’s fourth most-powerful military behind the United States, Russia and China. In May 2017, Japanese Prime Minister Shinzo Abe set a 2020 deadline for revising the Article 9 of the Japanese Constitution, a clause in the national Constitution of Japan outlawing war as a means to settle international disputes involving the state. This charter was written by the United States. Japan activated the Amphibious Rapid Deployment Brigade, its first marine unit since World War Two, on April 7, 2018. They're trained to counter invaders from occupying Japanese islands. In March 2019, the Ministry of Defense will establish its first regional cyber protection unit in the Western Army of the Japan Ground Self-Defense Force (JGSDF) to safeguard defense communications from cyber attacks. Such as for personnel deployed on remote islands with no established secure lines. The defense budget for fiscal year 2018, approved at the end of March 2018 by the National Diet, included funds to purchase mid- to long-range air-launched cruise missiles. Defense Minister Itsunori Onodera said they would be used exclusively for defense purposes as "stand-off missiles that can be fired beyond the range of enemy threats." The budget allocated 2.2 billion yen ($20 million) for the purchase of Joint Strike Missile (JSM) for its F-35A stealth fighters and 30 million yen ($270,000) for research on modifying existing Japanese Mitsubishi F-15J fighters to be equipped with Long-Range Anti-Ship Missiles (LRASM) and extended-range Joint Air-to-Surface Standoff Missiles (JASSM-ER). The Ministry of Defense is developing supersonic glide bombs to strengthen the defense of Japan's remote islands, including the Senkaku Islands. The anti-surface strike capability will be used to help the Amphibious Rapid Deployment Brigade’s landing and recapture operations of remote islands. The Ministry of Defense allocated $57 million for research and development of a hypersonic missile in the 2019 Defense Budget. It could travel five times the speed of sound (Mach 5) or faster. A scramjet engine prototype, jet fuel technology and heat-resistant materials will be built with testing from 2023 to 2025. British troops of the Honourable Artillery Company (HAC) exercised together for the first time with Japanese GSDF soldiers in Oyama, Shizuoka prefecture on 2 October, 2018. This also marked the first time in history that foreign soldiers other than Americans exercised on Japanese soil. The purpose was to improve their strategic partnership and security cooperation. Lieutenant General Patrick Sanders said that Japan won't have to fight alone. Japan christened the 84-meter long, 2,950 tons Oryu submarine on October 4, 2018. It is Japan's first submarine powered by lithium-ion batteries and was developed by Mitsubishi Heavy Industries. The Japan Maritime Self-Defense Force will utilize it by March 2020. The JGSDF and the Indian Army conducted their first joint military exercise in the Indian state of Mizoram from 27 October to 18 November 2018. It's primarily anti-terror drills and improving bilateral cooperation with 60 Japanese and Indian officers. Japan and the United States conducted the biggest military exercise around Japan thus far in the biennial Keen Sword from 29 October to 2 November 2018. It included a total of 57,000 sailors, marines and airmen. 47,000 service members were from the JSDF and 10,000 from the U.S. Armed Forces. A naval supply ship and frigate of the Royal Canadian Navy also participated. There were simulations of air combat, ballistic missile defense and amphibious landings. On 21, December 2018, the Japanese government approved an initial budget plan for fiscal 2019 that includes a general account exceeding 100 trillion yen ($900 billion) for the first time and spending on tax-hike preparations. The general account stood at 101.456 trillion yen, up 3.8 percent from the corresponding plan for fiscal 2018 and renewing the record high for the seventh straight year. Tax revenues in fiscal 2019 are expected to reach 62.495 trillion yen, up 5.8 percent from fiscal 2018 and marking the largest amount in 29 years. The projected figure exceeds the 60.1 trillion yen for fiscal 1990 during the asset-inflated bubble economy. The Japanese government approved the first ever JSDF dispatch to a peacekeeping operation that's not lead by the United Nations. Two JGSDF officers will monitor a cease-fire between Israel and Egypt at the Multinational Force and Observers command in the Sinai peninsula from 19 April till 30 November 2019. On 19 April 2019, Japan and the United States confirmed that cyberattacks are also covered by the bilateral security treaty. This will be judged on a case-by-case basis. Defense cooperation will increase for outer space, cyber and electronic warfare. The Prime Minister and Minister of Defense are advised by the Chief of Staff, Joint Staff (統合幕僚長, Tōgō Bakuryō-chō) (currently Kōji Yamazaki), who heads the Joint Staff (統合幕僚監部, Tōgō Bakuryō Kanbu). The Joint Staff includes a Senior Enlisted Advisor to the Chief of Staff, Joint Staff, the Vice Chief of Staff, Joint Staff (currently Kōichi Isobe), an Administrative Vice Chief of Staff, as well as numerous departments and special staffs. 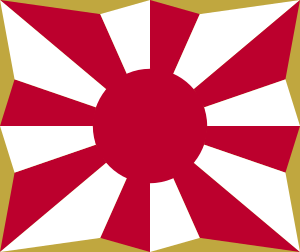 Each service branch is headed by their respective Chiefs of Staff; the Chief of Staff of the Japan Ground Self-Defense Force (JGSDF) (currently Gorō Yuasa), the Japan Maritime Self-Defense Force (JMSDF) (currently Hiroshi Yamamura), and the Japan Air Self-Defense Force (JASDF) (currently Yoshinari Marumo). The Chief of Staff, Joint Staff, a four star Admiral or General, is the highest-ranking military officer in the Japan Self-Defense Forces, and is the head of the Operational Authority over the Japan Self-Defense Forces, executing orders of the Minister of Defense with directions from the Prime Minister. The Chief of Staff, Joint Staff supervises the service branches operations, and would assume command in the event of a war, but his or her powers are limited to policy formation and defense coordination during peacetime. The chain of Operational Authority runs from the Chief of Staff, Joint Staff to the Commanders of the several Operational Commands. Each service branches Chiefs of Staff (JGSDF, JMSDF, JASDF) have administrative control over their own services. On December 4, 2013, the National Security Council was established, with the aim of establishing a forum which will undertake strategic discussions under the Prime Minister on a regular basis and as necessary on various national security issues and exercising a strong political leadership. On December 17, 2013, National Security Strategy was adopted by Cabinet decision. NSS sets the basic orientation of diplomatic and defense policies related to national security. NSS presents the content of the policy of "Proactive Contribution to Peace" in a concrete manner and promotes better understanding of Japan's national security policy. On July 25, 2018, the Japanese government settled on a 3-year strategy to counter possible cyberattacks against key parts of the nation's infrastructure ahead of the 2020 Tokyo Olympic and Paralympic Games. In 1976, then Prime Minister Miki Takeo announced defense spending should be maintained within 1% of Japan's gross domestic product (GDP), a ceiling that was observed until 1986. As of 2005, Japan's military budget was maintained at about 3% of the national budget; about half is spent on personnel costs, while the rest is for weapons programs, maintenance and operating costs. As of 2011, Japan has the world's eighth-largest military budget. The published military budget of Japan for 2015 was 4.98 trillion yen (approximately US$42 billion, and roughly 1% of Japanese GDP), a rise of 2.8 percent on the previous year. After the North Korean Kwangmyŏngsŏng-1 satellite launching in August 1998, which some regarded as a ballistic missile test, the Japanese government decided to participate in the American anti-ballistic missile (ABM) defense program. In August 1999, Japan, Germany and the US governments signed a Memorandum of Understanding of joint research and development on the Aegis Ballistic Missile Defense System. In 2003, the Japanese government decided to deploy three types of ABM system, air defense vehicles, sea-based Aegis and land-based PAC-3 ABM. The four Kongō class Aegis destroyers of the Japan Maritime Self-Defense Force were modified to accommodate the ABM operational capability. On December 17, 2007, JS Kongō successfully shot down a mock ballistic missile by its SM-3 Block IA, off the coast of Hawaii. The first PAC-3 (upgraded version of the MIM-104 Patriot) firing test by the Japan Air Self-Defense Force was carried out in New Mexico on September 17, 2008. PAC-3 units are deployed in 6 bases near metropolises, including Tokyo, Osaka, Nagoya, Sapporo, Misawa and Okinawa. Japan participates in the co-research and development of four Aegis components with the US: the nose cone, the infrared seeker, the kinetic warhead, and the second-stage rocket motor. On 30 July 2018, Japan picked Lockheed Martin Corp to build a $1.2 billion radar for two ground-based Aegis ballistic missile defense stations. These are meant to guard against missile strikes. On the same day, Japan's Defense Ministry said to be considering to withdraw PAC3 missile interceptor units from the country's northern and western region amid an easing of tensions with North Korea. Ministry officials told that North Korea is less likely to fire ballistic missiles after it held a summit with the United States last month. But the officials also said the ministry will maintain its order to destroy any incoming missiles. They added that the ministry will be ready to quickly redeploy the PAC3 units if the situation changes. In light of tensions over the Senkaku Islands, Japan began creating the Amphibious Rapid Deployment Brigade in 2016. This unit will be designed to conduct amphibious operations and to recover any Japanese islands taken by an adversary. Japan activated its first marine unit since World War Two on April 7, 2018. The marines of the Japanese Ground Self-Defense Force (JGSDF)'s Amphibious Rapid Deployment Brigade, gathered at a ceremony activating the brigade at JGSDF's Camp Ainoura in Sasebo, on the southwest island of Kyushu, Japan. They're trained to counter invaders from occupying Japanese islands along the edge of the East China Sea that Tokyo fears are vulnerable to attack. JSDF soldiers are trained in the military self-defense art of Toshu kakutō (徒手格闘), developed in 1952 by Major Chiba Sansu from a synthesis of jujutsu, karate, aiki-jujutsu, boxing and wrestling. The techniques of toshu kakutō are simplified and direct, to allow for their application whilst in combat dress and carrying field kit. There is an emphasis on the rapid transmission of maximum force in strikes, and for this reason toshu kakutō eschews the fully rotated punches and instep kicks of most karate forms in favour of vertical thrust punches and straight heel kicks. The outer outline specified quotas of personnel and equipment for each force that were deemed necessary to meet its tasks. Particular elements of each force's mission were also identified. The JGSDF was to defend against ground invasion and threats to internal security, be able to deploy to any part of the nation, and protect the bases of all three services of the Self-Defense Forces. The JMSDF was to meet invasion by sea, sweep mines, patrol and survey the surrounding waters, and guard and defend coastal waters, ports, bays, and major straits. The JASDF was to render aircraft and missile interceptor capability, provide support fighter units for maritime and ground operations, supply air reconnaissance and air transport for all forces, and maintain airborne and stationary early warning units. The JSDF disaster relief role is defined in Article 83 of the Self-Defense Forces Law of 1954, requiring units to respond to calls for assistance from prefectural governors to aid in fire suppression, search and rescue, and flood fighting through the reinforcement of embankments and levees. The JSDF has not been used in police actions, nor is it likely to be assigned any internal security tasks in the future. In late June/early July 2014, Prime Minister Shinzo Abe and his cabinet agreed to lift the long-term ban in engaging Japanese troops abroad, since the end of the Second World War, in a bid to strengthen the Japanese situation amid an ever-growing Chinese military aggression and North Korea's nuclear weapons programme. Japan had adhered to the "pacifist" article 9 of the constitution, but would revise and might reinterpret it in order for this to take effect. In June 1992, the National Diet passed a UN Peacekeeping Cooperation Law which permitted the JSDF to participate in UN medical, refugee repatriation, logistical support, infrastructural reconstruction, election-monitoring, and policing operations under strictly limited conditions. The non-combatant participation of the JSDF in the United Nations Transitional Authority in Cambodia (UNTAC) in conjunction with Japanese diplomatic efforts contributed to the successful implementation of the 1991 Paris Peace Accords for Cambodia. Chief Cabinet Secretary Nobutaka Machimura had stated that discussions with Defense Minister Shigeru Ishiba and Foreign Minister Masahiko Komura were taking place regarding the possibility of creating a permanent law for JSDF forces to be deployed in peacekeeping missions outside Japan. The adoption of a permanent peacekeeping law has been considered by the government, according to the Mainichi Daily News. In 2014, the LDP did not make progress due to concerns from Komeito that JSDF forces can be sent to a peacekeeping operation where Japan is not involved. In 2004, the Japanese government ordered a deployment of troops to Iraq at the behest of the United States: A contingent of the Japan Self-Defense Forces was sent in order to assist the U.S.-led Reconstruction of Iraq. This controversial deployment marked a significant turning point in Japan's history, as it is the first time since the end of World War II that Japan sent troops abroad except for a few minor UN peacekeeping deployments. Public opinion regarding this deployment was sharply divided, especially given that Japan's military is constitutionally structured as solely a self-defense force, and operating in Iraq seemed at best tenuously connected to that mission. The Koizumi administration, however, decided to send troops to respond to a request from the US. Even though they deployed with their weapons, because of constitutional restraints, the troops were protected by Japanese Special Forces troops and Australian units. The Japanese soldiers were there purely for humanitarian and reconstruction work, and were prohibited from opening fire on Iraqi insurgents unless they were fired on first. Japanese forces withdrew from Iraq in 2006. Japan provided logistics units for the United Nations Disengagement Observer Force Zone, which supervises the buffer zone in the Golan Heights, monitors Israeli and Syrian military activities, and assists local civilians. Japanese forces are frequent among the international disaster relief teams, with deployments in Rwanda (1994), Honduras (1998), Turkey (1999), West Timor (1999-2000), Afghanistan (2001), Iraq (2003), Iran (2003-2004), Thailand (2004-2005), Indonesia (2005), Russia (2005), Pakistan (2005), Indonesia (2006), Indonesia (2009), Haiti (2010), Pakistan (2010), New Zealand (2011). In the aftermath of an earthquake in Haiti, Japan deployed a contingent of troops, including engineers with bulldozers and heavy machinery, to assist the United Nations Stabilization Mission in Haiti. Their duties were peacekeeping, removal of rubble, and the reconstruction of roads and buildings. Self-Defense Forces have conducted overseas activities such as dispatching UN peacekeepers to Cambodia. In 2003, Japan created a law to deal with armed attacks and amended the Self-Defense Forces law. In 2004, Japan dispatched for two and a half years to the Samawa district of southern Iraq under the Special Measures for Iraqi Recovery Support Act. The Japan Maritime Self-Defense Force deployed a force off the coast of Somalia to protect Japanese ships from Somali Pirates. The force consists of two destroyers (manned by approximately 400 sailors), patrol helicopters, speedboats, eight officers of the Japan Coast Guard to collect criminal evidence and handle piracy suspects, a force of commandos from the elite Special Boarding Unit, and P-3 Orion patrol aircraft in the Gulf of Aden. On 19 June 2009, the Japanese Parliament finally passed an anti-piracy bill, which allows their force to protect non Japanese vessels. In May 2010, Japan announced it intended to build a permanent naval base in Djibouti to provide security for Japanese ships against Somali pirates. Construction of the JSDF Counter-Piracy Facility in Djibouti commenced in July 2010, completed in June 2011 and opened on 1 July 2011. Initially, the base was to house approximately 170 JSDF personnel and include administrative, housing, medical, kitchen/dining, and recreational facilities as well as an aircraft maintenance hangar and parking apron. The base now houses approximately 200 personnel and two P-3C aircraft. Since 1991, the Japan Self-Defense Forces have conducted international activities to provide support for peacekeeping missions and disaster relief efforts as well as to help prevent conflict and terrorism. Persian Gulf April 26, 1991 October 1991 JMSDF 6 minesweeper vessels 6 JMSDF minesweepers removed 34 sea mines in the Persian Gulf to improve the safety of ships. Cambodia August 19, 1992 September, 1993 JGSDF 1200 JGSDF truce observers and an engineer unit helped repair damaged bridges and roads in Cambodia. The JASDF transported water and fuel to other peacekeeping units. Mozambique May 1993 January 1995 JSDF unit This was the SDF’s second peacekeeping operations. Headquarters staff and a transportation unit were sent to participate in the United Nations Operation in Mozambique. Rwanda September 1994 December 1994 JSDF unit and liaison/coordination personnel This was the first humanitarian relief activity of the JSDF. An JSDF unit and liaison/coordination personnel were dispatched to Zaire (currently Congo) and Kenya for relief operations (supplies, medical, sanitation and water) to Rwandan refugees from the civil war. Israel Syria Golan Heights February 1996 Present JSDF unit and liaison/coordination personnel JSDF sent staff and a transport unit to the UN Disengagement Observer Force to promote peace in the Golan Heights. Activities include transporting supplies, road repair and snow removal. Honduras November 1998 December 1998 JSDF unit and liaison/coordination personnel After a devastating hurricane, JGSDF units and medical officers provided disaster relief with medical care to prevent epidemics and the JASDF transported equipment from Japan and the United States to Honduras. Turkey September 1999 November 1999 JMSDF Three vessels After a major earthquake, the JSDF dispatched three vessels, including a transport ship, minesweeper tender and a replenishment ship. It included 500 temporary houses as emergency relief supply for earthquake victims. Timor-Leste September 1999 February 2000 JASDF Cargo plane A large inflow of refugees into West Timor were caused by political unrest in East Timor. At the request of the UN High Commissioner for Refugees (UNHCR) the JASDF dispatched a large cargo plane to transport relief supplies from Surabaya, Indonesia to Kuban. India February 2001 February 2001 JGSDF unit and JASDF squadron A JGSDF relief supply unit and JASDF emergency relief air transport squadron transported blankets and tents to areas in Western India that were damaged in a major earthquake. They also instructed local staff on how to use it. Afghanistan October 2001 October 2001 JASDF squadron The JSDF provided tents, blankets, water supply containers and mats to refugees in Islamabad, Afghanistan as part of anti-terrorism activities. These were transported by an JASDF squadron by air. Indian Ocean November 2001 November 2007 JMSDF vessels JMSDF vessels were dispatched to the Indian Ocean under the former Anti-Terrorism Special Measures Law enacted after the terrorism attacks in the United States. The JMSDF vessels provided assistance by supplying fuel and water to foreign naval ships engaged in anti-terrorism activities. The JASDF transported supplies to the United States military forces. Haiti 2010 2010 JGSDF contingent of troops The JSDF assisted the United Nations Stabilization Mission in Haiti with a contingent of troops (engineers, bulldozers, heavy machinery). They conducted peacekeeping, reconstructed roads, buildings and removed rubble. East Timor February 2002 June 2004 JGSDF 680 The JSDF dispatched personnel and an engineer unit of 680 men and women to the headquarters of the United Nations Transitional Administration in East Timor. They helped repair and maintain roads, bridges and water supply units for local residents. Iraq July 2003 August 2003 JASDF cargo plane The JASDF provided assistance to victims of the War in Iraq by transporting 140 tons of relief supplies between Italy and Jordan with a large cargo plane. This was a request of the World Food Programme (WFP). Iran December 2003 January 2004 JASDF 2 cargo planes After a major earthquake struck Southeast Iran, the JASDF used two large cargo planes to transport 12 tons of emergency relief supplies provided by JICA to Kerman Province. Iraq January 4, 2004 2006 JGSDF 9,600 Deployment of 9,600 Ground JSDF personnel to Iraq. The focus was on humanitarian and reconstruction assistance. Iraq December 2003 February 2009 JGSDF and JASDF In order to provide humanitarian and reconstruction assistance and help ensure the stability of Iraq, the JGSDF provided water, medical assistance, school, road repairs and general construction. The JASDF transported supplies between Kuwait and Iraq and played a vital role in the international reconstruction effort. Thailand December 2004 January 2005 JMSDF unit An JMSDF unit helped search for victims after a tsunami struck Thailand following the Sumatra earthquake. The JMSDF transported international emergency aid teams and equipment by air and recovered victims’ bodies from the ocean. Indonesia January 2005 March 2005 JGSDF, JMSDF and JASDF Units from the JGSDF, JMSDF and JASDF were dispatched to Sumatra after a major earthquake and tsunami. This marked the first time that JSDF helicopters were dispatched for international disaster relief activities. Kamchatka Peninsula August 2005 August 2005 4 JMSDF vessels Four JMSDF vessels, including a submarine rescue ship, were dispatched to rescue the crew of a Russian Navy submarine that could not reach the surface near the Kamchatka peninsula. The submarine’s crew was rescued by a Royal Navy submarine rescue ship. The Russian government also lauded the rapid response of the JMSDF. Pakistan October 2005 December 2005 JASDF cargo plane, 6 JGSDF helicopters The JASDF used a large cargo plane to transport six JGSDF helicopters to a major earthquake zone in Pakistan. The helicopters transported 824 victims and 131 tons of relief supplies, including medicines and tents. Indonesia June 2006 June 2006 Squadron and other personnel When Yogyakarta was struck by a major earthquake off the coast of Java, the JSDF sent an international emergency medical aid air transport squadron with personnel such as JGSDF medical officers. They provided local medical assistance, medical exams and vaccinations to 5,400 people. Nepal March 2007 January 2011 JGSDF personnel JSDF personnel were dispatched to the United Nations Mission in Nepal as military observers in order to maintain stability in the region after a peace accord that ended armed conflict between the Nepalese Army and Maoist forces. JSDF personnel observed the management of weapons, soldiers in camps and barracks. Indian Ocean January 2008 January 2010 JMSDF The JMSDF mission included supplying water and helicopter and ship fuel to foreign naval ships engaged in anti-terrorism activities in the Indian Ocean. This was permitted after the passing of the Replenishment Support Special Measures Law. Somalia March 2009 Present JGSDF unit and JASDF unit A JSDF surface and air unit were dispatched to the Gulf of Aden to ensure the safe passage of private-sector vessels. Numerous piracy incidents occurred there. It included a P-3C patrol plane used for warning and surveillance activities and two destroyers to protect civilian commercial ships. JGSDF personnel also provided security for the air unit’s facility in Djibouti. Indonesia October 2009 October 2009 JSDF unit After a major earthquake that off Padang Indonesia that caused more than 1,000 deaths, the JSDF sent a medical assistance unit to the area. The three medical officers and other personnel provided emergency medical care to 919 patients. Haiti January 2010 February 2010 JGSDF unit After a major earthquake struck Haiti that killed more than 300,000 people, an JASDF transport plane was dispatched to help transport aid personnel and victims of the disaster. A medical assistance unit from the JGSDF provided disaster relief such as local medical care to 2954 people. Haiti February 2010 Present JGSDF engineer unit The JSDF dispatched a JGSDF engineer unit for post-quake reconstruction efforts in Haiti. They brought heavy machinery and other equipment to clear rubble, repair roads, perform simple engineering and construction work. Pakistan August 2010 October 2010 JSDF unit Pakistan suffered major flood damage caused by torrential rains. At the request of local Pakistani governments, a joint JSDF rescue unit was dispatched. It consisted of personnel from the JGSDF, JMSDF and JASDF. An JMSDF transport ship, JASDF C130H transport plane and six JGSDF helicopters helped transport 260 tons of relief supplies and 49 aid officials. Timor-Leste September 2010 Present JSDF personnel At the request of the UN, two JSDF personnel were dispatched as military liaison officers for the United Nations Integrated Mission in East Timor. The JSDF personnel collected information to monitor civic order throughout East Timor to ensure that ceasefire was adhered. New Zealand February 2011 March 2011 JSDF unit Following a major earthquake near Christchurch, the New Zealand government requested help from Japan. The JSDF organized an international disaster relief air transport unit with a rescue team consisting of personnel from the National Police Agency, the Fire and Disaster Management Agency and the Japan Coast Guard. It was one of the first to arrive in the country. South Sudan 12 December 2016 17 April 2017 JGSDF 12 Ceasefire observers and security 12 personnel participated in peacekeeping operations on the ground in Sudan over the course of two years and 11 months. The arm of service to which members of the ground force are attached is indicated by branch insignia and piping of distinctive colors: for infantry, red; artillery, yellow; armor, orange; engineers, violet; ordnance, light green; medical, green; army aviation, light blue; signals, blue; quartermaster, brown; transportation, dark violet; airborne, white; and others, dark blue. The cap badge insignia the JGSDF is a sakura cherry blossom bordered with two ivy branches underneath, and a single chevron centered on the bottom between the bases of the branches; the JMSDF cap badge insignia consists of a fouled anchor underneath a cherry blossom bordered on the sides and bottom by ivy vines; and the JASDF cap badge insignia features a heraldic eagle under which is a star and crescent, which is bordered underneath with stylized wings. There are nine officer ranks in the active JSDF, along with a warrant officer rank, five NCO ranks, and three enlisted ranks. The highest NCO rank, first sergeant (senior chief petty officer in the JMSDF and senior master sergeant in the JASDF), was established in 1980 to provide more promotion opportunities and shorter terms of service as sergeant first class, chief petty officer, or master sergeant. Under the earlier system, the average NCO was promoted only twice in approximately thirty years of service and remained at the top rank for almost ten years. The total strength of the JSDF is 247,154 in 2016. In addition, the JSDF maintained a total of 47,900 reservists attached to the three services. The Japanese Constitution abolished conscription on 3 May 1947. Enlistment in the JSDF is voluntary at 18 years of age. When Japan's active and reserve components are combined the country maintains a lower ratio of military personnel to its population than any member nation of the North Atlantic Treaty Organization (NATO). Of the major Asian nations, only India, Indonesia, Malaysia and Thailand keep a lower ratio of personnel in arms. Since India and Indonesia have much larger populations, they have larger numbers of personnel. JSDF uniformed personnel are recruited as private, E-1, seaman recruit, and airman basic for a fixed term. Ground forces recruits normally enlist for two years; those seeking training in technical specialties enlist for three. Naval and air recruits normally enlist for three years. Officer candidates, students in the National Defense Academy and National Defense Medical College, and candidate enlist students in technical schools are enrolled for an indefinite period. The National Defense Academy and enlisted technical schools usually require an enrollment of four years, and the National Defense Medical College require six years. When the JSDF was originally formed, women were recruited exclusively for the nursing services. Opportunities were expanded somewhat when women were permitted to join the JGSDF communication service in 1967 and the JMSDF and JASDF communication services in 1974. By 1991, more than 6,000 women were in the JSDF, about 80% of service areas, except those requiring direct exposure to combat, were open to them. The National Defense Medical College graduated its first class with women in March 1991, and the National Defense Academy began admitting women in FY 1992. JSDF personnel benefits are not comparable to such benefits for active-duty military personnel in other major industrialized nations. Health care is provided at the JSDF Central Hospital, fourteen regional hospitals, and 165 clinics in military facilities and on board ship, but the health care only covers physical examinations and the treatment of illness and injury suffered in the course of duty. There are no commissary or exchange privileges. Housing is often substandard, and military appropriations for facilities maintenance often focus on appeasing civilian communities near bases rather than on improving on-base facilities. In 2010, Sapporo District Court fined the state after a female JASDF member was sexually assaulted by a colleague then forced to retire, while the perpetrator was suspended for 60 days. Appreciation of the JSDF continued to grow in the 1980s, with over half of the respondents in a 1988 survey voicing an interest in the JSDF and over 76% indicating that they were favourably impressed. Although the majority (63.5%) of respondents were aware that the primary purpose of the JSDF was maintenance of national security, an even greater number (77%) saw disaster relief as the most useful JSDF function. 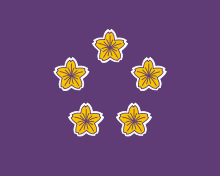 The JSDF therefore continued to devote much of its time and resources to disaster relief and other civic action. Between 1984 and 1988, at the request of prefectural governors, the JSDF assisted in approximately 3,100 disaster relief operations, involving about 138,000 personnel, 16,000 vehicles, 5,300 aircraft, and 120 ships and small craft. In addition, the JSDF participated in earthquake disaster prevention operations and disposed of a large quantity of World War II explosive ordnance, especially in Okinawa Prefecture. The forces also participated in public works projects, cooperated in managing athletic events, took part in annual Antarctic expeditions, and conducted aerial surveys to report on ice conditions for fishermen and on geographic formations for construction projects. Especially sensitive to maintaining harmonious relations with communities close to defense bases, the JSDF built new roads, irrigation networks, and schools in those areas. Soundproofing was installed in homes and public buildings near airfields. According to a 2015 report by the Ministry of Defense, 56 SDF members committed suicide after serving in overseas missions to Iraq and the Indian Ocean. These are 27 personnel who participated in refueling operations in the Indian Ocean from 2001 till 2007. 29 JGSDF and JASDF members committed suicide after returning home from a reconstruction mission in the Iraqi city Samawah from 2003 till 2009. In Iraq the SDF members experienced violence such as roadside bombs and rocket attacks. Defense officials stated that 14 deaths are due to mental illness, 13 due to family or financial problems and 3 due to official SDF duties. The cause is unclear and under investigation. It could be due to increased stress and duties being tougher than they anticipated. Medical and social support should be improved for veterans. JSDF Day 2011. Head of 10th Division and other regiments. The Japan Self-Defense Forces Day (自衛隊記念日, Jieitai Kinen'bi) celebrates the foundation of the Japan Self-Defense Forces. It is celebrated every year in Japan since 1966. The JGSDF, JMSDF and JASDF hold annual reviews in rotation. There is also a three-day music event called the JSDF Marching Festival. The date varies per year. The 28th Fleet Review was held in Sagami Bay on 18 October 2015. 42 vessels participated in the celebratory cruise including the JS Izumo and six vessels from Australia, France, India, the Republic of Korea, and the United States. 37 aircraft from the JASDF and the U.S. forces flew over. During the 2018 Self-Defense Forces Day, Prime Minister Shinzo Abe reviewed JSDF members at Camp Asaka. There were 4,000 troops, 260 tanks and other military vehicles and 40 warplanes. Abe said that they have gained public trust and it is the responsibility of politicians to revise the 1947 constitution to mention the JSDF and give them a sense of pride. JSDF Marching Festival. Heisei 25 (2013) performance. The JSDF Marching Festival (自衛隊音楽まつり, Jieitai Ongaku Matsuri) is the JSDF's largest music event held annually around November. It usually takes place in Nippon Budokan for three days. It also features guest bands from other countries. It was established in 1963. It is one of the oldest military tattoos in the Asia-Pacific region. In 2014, the JGSDF Central Band, the JMSDF Tokyo Band, the JASDF Central Band, and the JGSDF Northern and Eastern Army Bands participated as well as special guest bands from the United States Army, Japan, the 3rd Marine Expeditionary Force, the Australian Army, and the Philippine Marine Corps. There were band performances, honor guard display by the JGSDF 302nd Military Police Company, a drill by the National Defense Academy and taiko drum performance by the JSDF Drum Teams. The Fuji Firepower Review (富士総合火力演習, Fuji-sōgōkaryoku-enshū) is the JGSDF's largest annual live-fire drill. It began in 1961 and is open to the public since 1966 for the purpose of deepening public understanding of the JSDF. On August 26, 2018, it was held in front of the defense minister and 24,000 spectators at the East Fuji Maneuver Area in Gotemba near the foot of Mount Fuji. That was the first time that the Amphibious Rapid Deployment Brigade participated. The drill was based on a scenario of Japanese troops being deployed to recover far-flung islands from enemy forces. It involved about 2,400 troops, 80 tanks and armored vehicles, 60 artillery shells and 20 helicopters and fighter jets. A. ^ The director-general of the Japan Defense Agency (防衛庁, Bōei-chō) formerly reported to the Prime Minister. The Defense Agency ceased to exist with the establishment of the cabinet-level Ministry of Defense in 2007. B. ^ Also known as Fujikura Aviation Equipment Corporation. The company is a major component of the Fujikura group. C. ^ Better known as Nippon Oil & Fats Co., Ltd or NOF Corporation. The company's current Japanese trading name is Nichiyu Kabushikigaisha. ^ a b c "Japan Self-Defense Force | Defending Japan". Defendingjapan.wordpress.com. Retrieved 2014-08-03. ^ a b "Japan to raise maximum age for new recruits to boost dwindling military ranks". Reuters. 9 August 2018. Retrieved 26 August 2018. ^ "Procurement equipment and services". Equipment Procurement and Construction Office Ministry of Defense. Archived from the original on 2011-01-14. ^ a b O’Sullivan, Michael; Subramanian, Krithika (2015-10-17). The End of Globalization or a more Multipolar World? (Report). Credit Suisse AG. Archived from the original on 2018-02-15. Retrieved 2017-07-14. ^ a b "SIPRI Yearbook 2012–15 countries with the highest military expenditure in 2011". Sipri.org. Archived from the original on March 28, 2010. Retrieved April 27, 2013. ^ "Japan - Introduction". Globalsecurity.org. Retrieved 2006-03-05. ^ Herman, Steve (2006-02-15). "Japan Mulls Constitutional Reform". Tokyo: Voice of America. Archived from the original on February 16, 2006. ^ a b "British troops join forces with Japanese for first time on their soil amid North Korea tensions". The Telegraph. 2 October 2018. Archived from the original on 2018-10-12. Retrieved 18 October 2018. ^ Kuzuhara, Kazumi (2006). "The Korean War and The National Police Reserve of Japan: Impact of the US Army's Far East Command on Japan's Defense Capability" (PDF). NIDS Journal of Defense and Security. National Institute for Defense Studies. No. 7: 96. ISSN 1345-4250. Archived from the original (pdf) on 6 June 2016. ^ (in Japanese) 佐道明広 (2006). 戦後政治と自衛隊. 吉川弘文館. p. 23. ISBN 4-642-05612-2. ^ a b Takei, Tomohisa (2008). "Japan Maritime Self Defense Force in the New Maritime Era" (PDF). Hatou. Hatou. 34: 3. Archived from the original (pdf) on 15 December 2018. ^ a b (in Japanese) 武居智久 (2008). 海洋新時代における海上自衛隊 [Japan Maritime Self Defense Force in the New Maritime Era] (PDF). 波涛. 波涛編集委員会. 34: 5. Archived from the original (pdf) on 15 December 2018. ^ Kowalski, Frank (2014). An Inoffensive Rearmament: The Making of the Postwar Japanese Army. Naval Institute Press. p. 72. ISBN 9781591142263. ^ Associated Press, "Jap Air Force Will Get 85 U. S. Planes", Pittsburgh Post-Gazette (Pittsburgh, Pennsylvania), 7 January 1955, Volume 28, Number 137, page 2. ^ Gordon, Andrew (2003). A Modern History of Japan: From Tokugawa times to the Present. New York: Oxford University Press. ^ Packard, George R. "The United States-Japan Security Treaty at 50". Foreign Affairs. Retrieved 2013-04-23. ^ Smith, William E; McGeary, Johanna; Reingold, Edwin M. (1983-01-31). "Beef and Bitter Lemons". Time. Retrieved 2007-12-18. ^ Sanger, David E (1995-05-14). "The Nation: Car Wars; The Corrosion at the Core of Pax Pacifica". The New York Times. Retrieved 2007-12-18. ^ a b Dolan, Ronald; Robert Worden (1992). "8". Japan : A Country Study. Federal Research Division, Library of Congress. ISBN 0-8444-0731-3. See section 2: "The Self Defense Forces"
^ Kurt M. Campbell; Robert J. Einhorn; Mitchell Reiss (2004). The Nuclear Tipping Point: Why States Reconsider Their Nuclear Choices. Brookings Institution Press. pp. 243–246. ISBN 9780815796596. Retrieved 24 December 2013. ^ "Nuclear Scholars Initiative 2010: Recap of Seminar Four". CSIS. Retrieved 29 June 2010. ^ Brumfiel, Geoff (November 2004). "Nuclear proliferation special: We have the technology". Nature. 432-437. 432 (7016): 432–7. Bibcode:2004Natur.432..432B. doi:10.1038/432432a. PMID 15565123. Retrieved 29 June 2010. ^ Windrem, Robert (11 March 2014). "Japan Has Nuclear 'Bomb in the Basement,' and China Isn't Happy". NBC News. Retrieved 3 April 2015. ^ a b Narusawa, Muneo (28 July 2014). "The Overseas Dispatch of Japan's Self-Defense Forces and U.S. War Preparations 自衛隊海外派遣と米国の戦争準備". The Asia-Pacific Journal: Japan Focus. Archived from the original on September 30, 2018. ^ Wortzel, Larry (5 November 2011). "Joining Forces Against Terrorism: Japan's New Law Commits More Than Words to U.S. Effort". The Heritage Foundation. Archived from the original on October 6, 2018. ^ "Japan creates defense ministry". BBC News. 2006-12-15. ^ Schell, Jonathan (2007). The Seventh Decade: The New Shape of Nuclear Danger. Macmillan. p. 145. ISBN 0-8050-8129-1. ^ Slavin, Erik (18 September 2015). "Japan enacts major changes to its self-defense laws". Tokyo: Stars and Stripes. Archived from the original on June 19, 2018. ^ Tatsumi, Yuki. "Abe's New Vision for Japan's Constitution". The Diplomat. Archived from the original on 2018-11-21. Retrieved 18 May 2017. ^ Osaki, Tomohiro; Kikuchi, Daisuke (3 May 2017). "Abe declares 2020 as goal for new Constitution". Archived from the original on 2019-03-02. Retrieved 18 May 2017 – via Japan Times Online. ^ "Japan's Abe hopes for reform of pacifist charter by 2020". 3 May 2017. Archived from the original on 2019-01-03. Retrieved 18 May 2017 – via Reuters. ^ "Japan to create first regional counter-cyberattack unit in GSDF's Western Army". The Mainichi. 20 August 2018. Retrieved 26 August 2018. 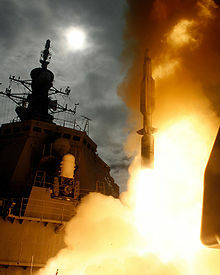 ^ "Japan Looks to Purchase Cruise Missiles". Arms Control Association. 1 July 2018. Archived from the original on 2018-09-26. Retrieved 26 September 2018. ^ "Japan developing supersonic glide bombs to defend Senkaku Islands". The Japan Times. 25 September 2018. Archived from the original on 2018-09-25. Retrieved 26 September 2018. ^ "Japan to develop hypersonic missile for 'defense purposes'". UPI. 19 September 2018. Archived from the original on 2018-10-01. Retrieved 7 October 2018. ^ "Japan's silent submarines extend range with new batteries". Nikkei Asian Review. 5 October 2018. Archived from the original on 2018-10-05. Retrieved 5 October 2018. ^ "India-Japan military exercise begins in Mizoram". Moneycontrol.com. 1 November 2018. Archived from the original on 2018-11-02. Retrieved 6 November 2018. ^ "U.S. carrier leads warships in biggest Japan defense war game". Asahi Shimbun. 4 November 2018. Archived from the original on 2018-11-05. Retrieved 6 November 2018. ^ "Japan approves plan to send JSDF officers to Sinai, on first non-U.N. peacekeeping mission". The Mainichi. 2 April 2019. Archived from the original on 2 April 2019. Retrieved 3 April 2019. ^ "US to defend Japan from cyberattack under security pact". The Mainichi. 20 April 2019. Archived from the original on 21 April 2019. Retrieved 21 April 2019. ^ a b "Self Defense Forces". Encyclopedia of Japan. Tokyo: Shogakukan. 2012. OCLC 56431036. Archived from the original on 2007-08-25. Retrieved 2012-07-15. ^ a b The Ministry of Defense Reorganized: For the Support of Peace and Security (PDF). Tokyo: Japan Ministry of Defense. 2007. pp. 4–5. ^ a b "職種　Branches of Service" (in Japanese). Tokyo: Japan Ground Self-Defense Force. 2012. Retrieved July 15, 2012. ^ a b c "自衛隊: 組織" [JSDF: Organization]. Nihon Daihyakka Zensho (Nipponika) (in Japanese). Tokyo: Shogakukan. 2012. OCLC 153301537. Archived from the original on 2007-08-25. Retrieved 2012-07-15. ^ "Organization of Joint Staff". Joint Staff, Ministry of Defense. Retrieved 25 December 2015. ^ "What is JGSDF?". JGSDF, Ministry of Defense. Retrieved 25 December 2015. ^ "What is JMSDF?". JMSDF, Ministry of Defense. Retrieved 25 December 2015. ^ "What is JASDF?". JASDF, Ministry of Defense. Retrieved 25 December 2015. ^ "Organization Chart". Ministry of Defense. Retrieved 25 December 2015. ^ a b "自衛隊" [JSDF]. Kokushi Daijiten (in Japanese). Tokyo: Shogakukan. 2012. OCLC 683276033. Archived from the original on 2007-08-25. Retrieved 2012-07-15. ^ "統合幕僚会議" [Joint Chiefs of Staff]. Kokushi Daijiten (in Japanese). Tokyo: Shogakukan. 2012. OCLC 683276033. Archived from the original on 2007-08-25. Retrieved 2012-07-15. ^ "Japan's Security Policy". Ministry of Foreign Affairs of Japan. ^ Entrenching the Yoshida Defense Doctrine: Three Techniques for Institutionalization, International Organization 51:3 (Summer 1997), 389-412. ^ "Japan Drops Its Symbolic Ceiling On Defense Spending". Articles.philly.com. 1990-02-18. Retrieved 2014-08-03. ^ "The Front Line". Forbes. 2005. ^ "Military expenditure (% of GDP)". The World Bank Group. Retrieved 2015-09-19. ^ "Japan Approves Record US $42 Billion Military Budget to Counter China's Rise". NDTV.com. Reuters via NDTV. Retrieved 31 August 2015. ^ "BMD and Japan". Nuclear Threat Initiative. Archived from the original on 2011-05-10. ^ Shabalin, Maxim (2011). "The Logic of Ballistic Missile Defense Procurement in Japan (1994-2007)". ^ "Japan picks $1.2 billion Lockheed radar for Aegis Ashore batteries". Reuters. Archived from the original on 2018-07-31. ^ "PAC3 missile defense units to be withdrawn". NHK World-Japan. Archived from the original on 2018-07-30. ^ Donn F. Draeger (1998). Bujutsu e budo moderno. Edizioni Mediterranee. pp. 82–83. ISBN 978-88-272-1246-2. ^ Justin McCurry in Tokyo (2014-07-01). "Japanese pacifists unnerved by lifting of ban on military intervention | World news". The Guardian. Retrieved 2014-08-03. ^ "MOFA: Japan's Contribution to UN Peacekeeping Operations". www.mofa.go.jp. Retrieved 2018-02-17. ^ 3 ministers to discuss permanent law for sending JSDF abroad. Archived 2008-01-10 at the Wayback Machine Retrieved on January 8, 2008. ^ James Simpson (2011-01-05). "Towards a Permanent Law for Overseas Deployment". Japan Security Watch. Retrieved 2012-01-07. ^ "SPECIAL FEATURE - JDF - Japan Defense Focus (No.24) - Japan Ministry of Defense". www.mod.go.jp. ^ "Haiti Feb 16 Japanese Peacekeepers". YouTube.com. 2010-03-02. Retrieved 2014-08-03. ^ Somali Piracy: JMSDF Ships Sazanami, Samidare on Anti Piracy Mission. Marinebuzz.com (2009-03-15). Retrieved on 2013-08-16. ^ Japan parliament expands Somalia anti-piracy m.. | Somali News Politics Documentaries Music Videos Intertainment. Somaliswisstv.com (2009-06-19). Retrieved on 2013-08-16. ^ "upi.com article". upi.com article. Retrieved 2014-08-03. ^ a b "JSDF's new anti-piracy base creates a dilemma". The Asahi Shimbun. 5 August 2011. Archived from the original on 18 July 2012. ^ The Japan News - Breaking News from Japan by The Yomiuri Shimbun. Yomiuri.co.jp. Retrieved on 2013-08-16. ^ a b c d e f g h i j k l m n o p q r s t u v w x y z aa ab ac ad ae "Two Decades of International Cooperation: A Look Back on 20 Years of JSDF Activities Abroad". Japan Ministry of Defense. December 24, 2011. Archived from the original on March 27, 2018. ^ "For the future of Iraq" (Press release). Japan Defense Agency. 2004-01-16. Archived from the original on February 21, 2006. ^ Japan: A Liberal, Nationalistic Defense Transformation - Foreign and Defense Policy Archived 2010-03-23 at the Wayback Machine. AEI (2005-11-17). Retrieved on 2013-08-16. ^ "Japanese troops settle into heavily secured camp in South Sudan". 12 December 2016 – via Japan Times Online. ^ a b c Dolan, Ronald; Robert Worden (1992). "8". Japan : A Country Study. Federal Research Division, Library of Congress. ISBN 0-8444-0731-3. See section 2.7: "Uniforms, Ranks, and Insignia"
^ "Defense Budget". mod.go.jp. Retrieved September 2, 2016. ^ "Japan Focus". Retrieved 2013-01-24. ^ NHK, NHK (2015-06-09). "Self-Defense Force Suicides". Tokyo: NHK World. Archived from the original on April 22, 2019. ^ a b "Abe renews pledge to change Japan's charter to boost troops". The Asahi Shimbun. 14 October 2018. Archived from the original on 14 October 2018. ^ a b "JDF No.59 - JSDF Marching Festival 2014" (PDF). Ministry of Defense. 1 December 2014. Archived (PDF) from the original on 22 March 2017. ^ "Japan Self-Defense Forces Fleet Review 2015". Ministry of Defense. 1 November 2015. Archived from the original on 22 March 2017. ^ "GSDF flexes its new muscles in drill to recapture remote islands". The Asahi Shimbun. 27 August 2018. Archived from the original on 27 August 2018. ^ "About Ministry: History". Tokyo: Japan Ministry of Defense. c. 2012. Retrieved July 15, 2012. Wikimedia Commons has media related to Japan Self-Defense Forces.